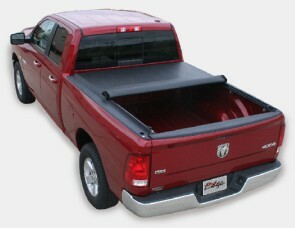 The TruXedo Edge vinyl tonneau cover is made out of high quality material, easy to use, and offers a very affordable price tag. Constructed with a sturdy aluminum frame and a high quality, double coated vinyl, this tonneau cover from TruXedo will hold up in all weather conditions. 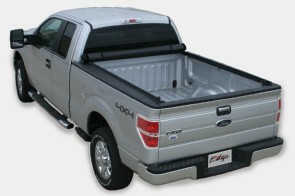 The arched tailgate design adds strength and a rugged stylish appearance. 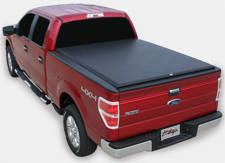 This pick up truck bed cover mounts inside the rails, giving you the option to enhance your ride with other cool accessories including bed caps, bed rails and stake pocket tie downs.